Happy Anniversary to us <3! 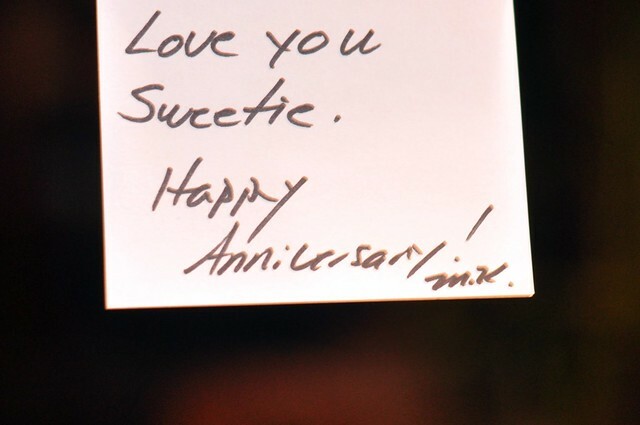 aww, your hubby is the sweetest! congrats, Sydney! Aww, too sweet! That should perk you up! Happy Anniversary to you both! More precious years to come! congrats, sydney! you have a really sweet hubby. i hope you guys do something fun! Awww.. how sweet! Happy Anniversary! Aweeeeee! Such a thoughtful and sweet hubby!!! :) Happy Anniv!